The Oasis group of apartments are a modern and unique design. Built on stilts on the hill with the specific intention to make the most of their position and the beautiful water views. Oasis 4 has the best views in this Oasis group. Exclusive 2 bedroom apartment on Hamilton Island! Ideally located on the hill just a short buggy ride from the marina village where all the Hamilton Island shops and restaurants are. 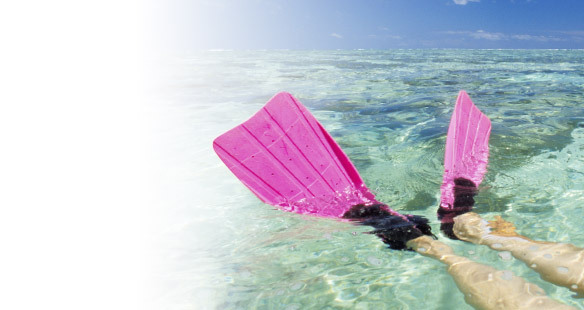 This is affordable Hamilton Island accommodation! Internet Wireless hotspots available at the Resort Centre. Property Address Oasis 4, Flametree Grove, Hamilton Island QLD 4803. View Map. Maximum People 4 plus infant. Massive balcony with stunning Whitsunday water views. Kitchen is decked out with all the modern conveniences you could ask for such as dishwasher and microwave. The living area is open and spacious and has DVD, video player, Plasma TV. Exquisitely furnished, open and bright apartment. Fully airconditioned but there are also beautiful Hamilton Island breezes. Main bedroom with Queen Bed, its own ensuite with spa bath. Second bedroom has King or 2 singles. The pool is a must for a refresher after soaking up the Hamilton Island sun throughout the day. This pool is for exclusive use of those staying at the Oasis apartments. Apartment sleeps up to 4 plus an infant. A cot and highchair is also available. If you are travelling with another family, why not book both Oasis 3 and 4. They are right next door to each other! 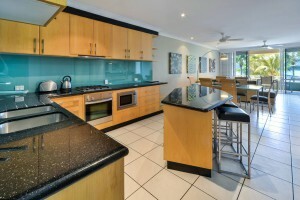 Both have wonderful water views and are ideally located for your Hamilton Island holiday. Click here to view Oasis 3. 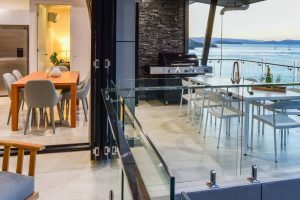 Thankyou,We had an excellent time in Hamilton Island it was an amazing experience.Oasis 4 was an excellent apartment and we couldn’t have asked for anything better.We will definitely be back and will be in contact for accomodoationtThanks again ?